Present state: In September 2010 a short length of the up platform edging was still visible but this might now be covered over. The platforms are buried. Notes: Initially the station had one low platform. This was rebuilt and lengthened (the low part of the platform remained in front of the station building) with a second platform being added when the line was doubled in 1901; the two platforms were slightly staggered. In 1853, a year after the station opened, there were two railway employees at the station: Henry Bell was the stationmaster earning £50 per annum, and there was 1 porter Jas. Elliot, earning 10/- per week. The main station building on the down platform was 'L' shaped and comprised a two-storey stationmaster's house at its north end and a single-storey booking office and waiting room with a hipped roof and a flat-roofed toilet block at the south end. 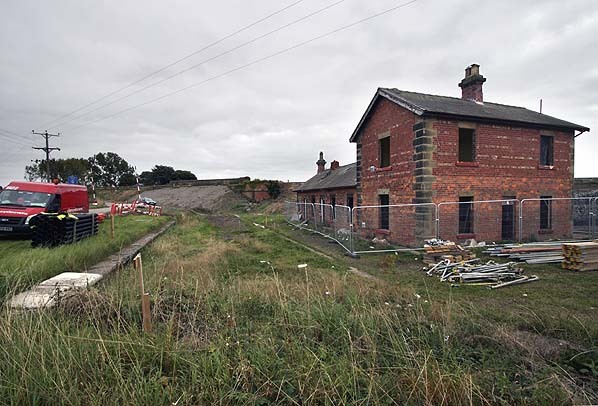 The station opened on 2nd June 1852 but apparently, permanent station buildings were not provided until 1854. The up platform had a timber waiting shelter. The goods yard was behind the station buildings, there was a single set of coal drops with a run-off loop to enable empty hoppers to bypass full ones waiting to be emptied. This operation tended to be done by hand using pinch bars. Two further sidings were provided, but no goods shed. A loading dock was provided on the up side where there were also cattle pens. The dock was extended to form the new up platform in 1901. A signal box for controlling access to the goods yard was sited some distance beyond the north end of the down platform. In 1911 the station had a catchment area with a population of 963. 6,040 tickets were sold that year, and the main freight handled was barley with 797 tons being dispatched from the station. In 1913, 218 wagons of livestock were loaded at the station. By 1956 the station was served by only one southbound train a day at 7.24 am, but as there was no corresponding northbound train in the evening, regular commuters could not use the line even if they wanted to. One possible reason for a morning only train is for the unloading of mail and parcels. 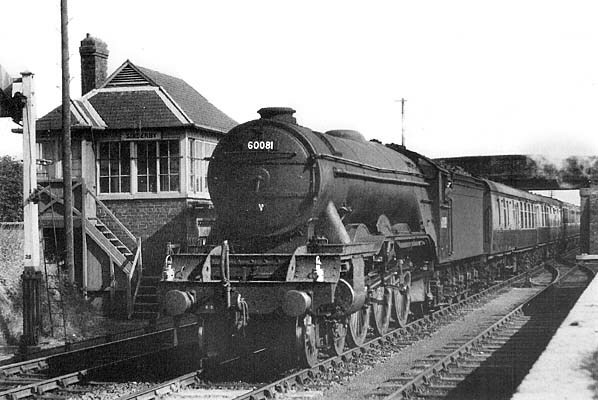 The station was closed on 1st January 1962 but remained open for goods traffic until 11th November 1963, although downgraded to an unstaffed public delivery siding after closure to passengers. The A1 overbridge was deemed unsafe in 1968 and was filled in with the double track still in situ. The rest of the track was lifted in 1970. The station has been owned by Seward Agricultural Supplies for many years. From December 2002 a Class 47 diesel 47540, The institute of Civil Engineers, and a number of Mk.II coaches were stored on a short length of track behind the station for future preservation. No work was ever done, and the coaches were removed for scrapping in spring 2009 prior to widening of the A1 road. The Class 47 was the last to be removed: this was taken into storage on 23rd May 2009 and moved to the Wensleydale Railway in September that year. 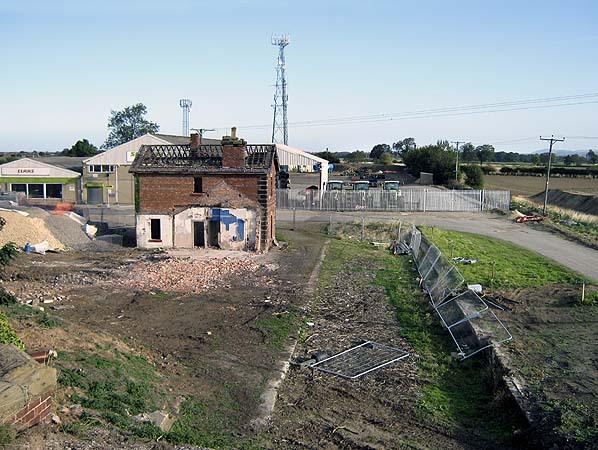 The bridge was also demolished in 2009 and the station building was demolished in October that year having stood empty for some years. 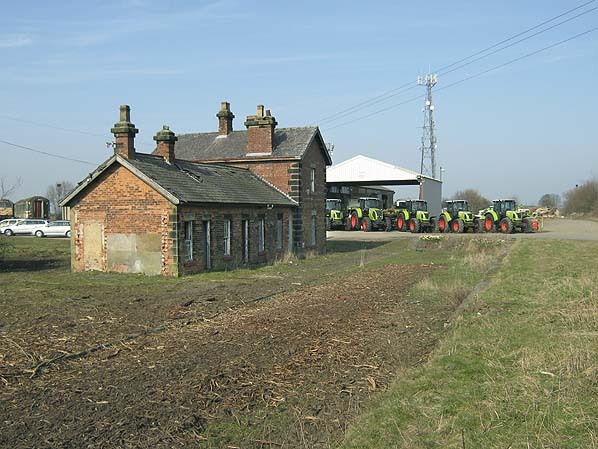 The first section of the Y&NMR opened on 20th May 1839 between York and a junction with the Selby line at Gascoigne Wood, with the remaining section to Normanton opening on 1stJuly 1840. A spur to Methley Junction, giving access to Leeds via a working arrangement with the North Midland, was opened on 27th July 1840, followed by a southbound curve from the L&S at Gascoigne Wood. The Leeds & Thirsk Railway was incorporated by Act on 21st July 1845 to serve Harrogate and to provide an alternative route from Leeds to the north east to break George Hudson's monopoly of rail transport in that area. Although the line was built in four years it was opened in stages, as the southern section of the line was more demanding of the engineer’s skills. with five major viaducts and Bramhope Tunnel (which, when finished, was exceeded in length only by Standedge and Woodhead). 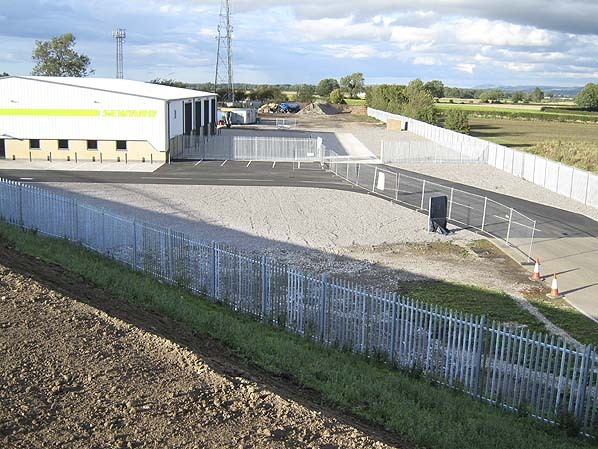 The first section of line to open was between a new terminus at Thirsk and Ripon. as long as the company had stock and locomotives to so do: such clandestine operations were quite common. Under the NER’s Harrogate Branches Act of 8th August 1859 all of Harrogate’s services were brought together in one centrally sited station. This required construction of four connecting lines including a curve from Dragon Junction, east of the new Harrogate station, to Bilton Road Junction on the L&T, and from Dragon Junction to Starbeck. Harrogate Brunswick was closed when the new through station was opened on 1st August 1862.
south traffic through the town. To safeguard against this, an emergency connection between the two lines was authorised on 28th November 1940. Construction of the 'Avoiding Line', as it was known, started in January 1941. The line was 960 yards in length running from a point just north of Romanby Gates level crossing on the Leeds Northern, passing under the Hawes branch on a very low temporary bridge with a headroom of only 4'6" (this would have been quickly demolished if the avoiding line had to be used) to a junction with the main line at Castle Mills. The new line was available for use from 23rd June 1941, but it was never used. North of Ripon, a daily freight working shunted the yard at Ripon then worked on to Melmerby, where there was an MoD ordnance depot. 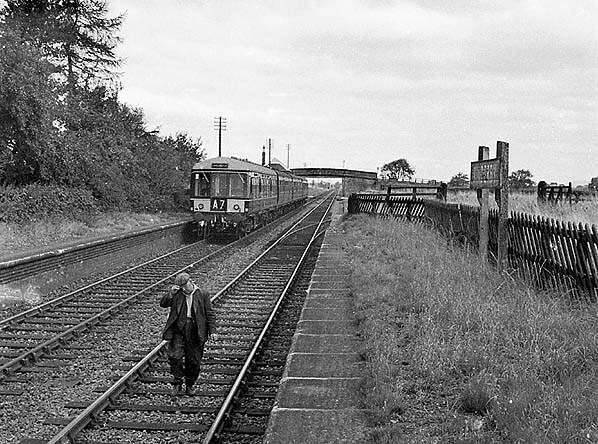 This closed at the end of 1968 with the last freight working north of Ripon on 31st December 1968 to collect the last wagons. Ripon station remained open for goods traffic arriving from the south until 5th September 1969, with a private siding remaining in use after that date. solution was to reopen the Leeds Northern route from Harrogate to Northallerton for northbound trains only, (southbound trains continued on the slow line). As signal boxes had been shut and battery boxes removed, no interlock detectors could be operated, and the first priority was to replace batteries. On the same day as the accident, a train had been sent from Darlington with the required batteries and pilot man and all nine signal boxes and cabins were reinstated. Men were found to operate them on 12-hour shifts until the emergency passed on 2nd August. 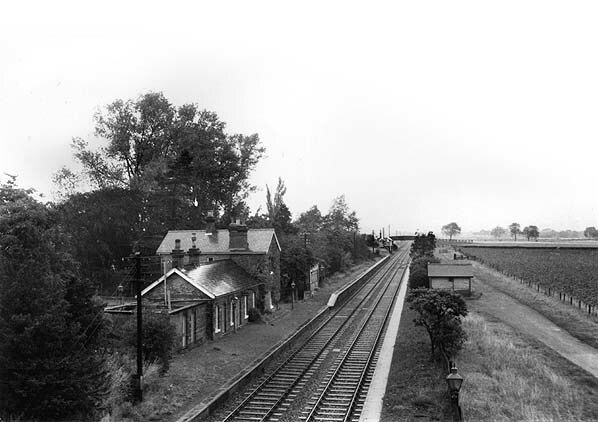 Sinderby station looking north in the 1960s after closure to passengers. 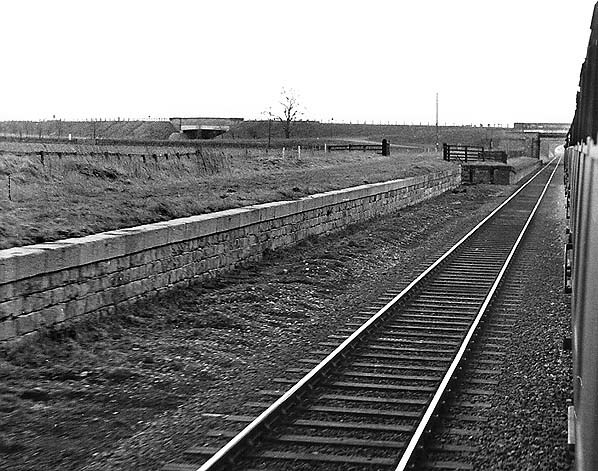 Sinderby station looking south at the goods loading dock on 4th March 1967, the last day of passenger service between Harrogate and Northallerton. The platforms at Sinderby were partly staggered The loading dock was opposite a continuation of the up platform. 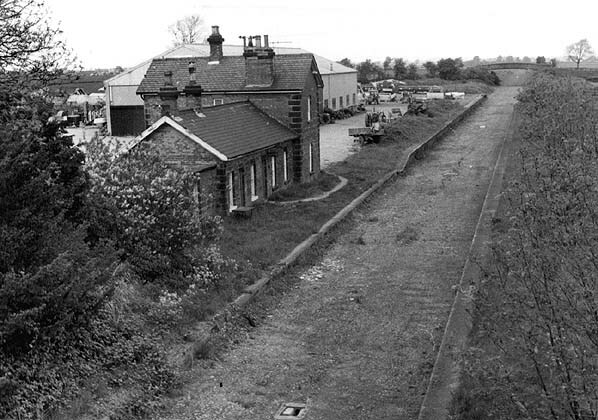 Sinderby station looking north in May 1974. 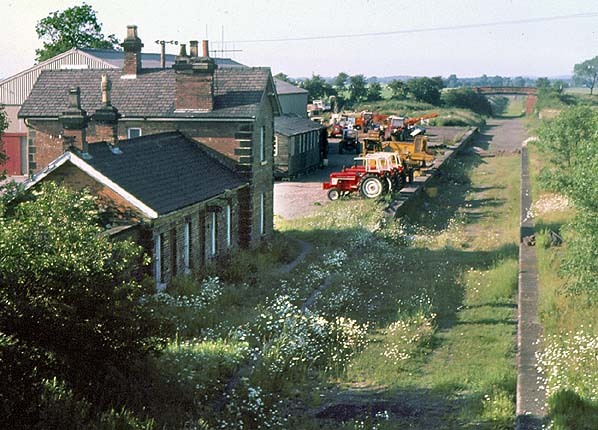 Sinderby station looking north in June 1975. Sinderby station looking north in March 2009. Sinderby station looking south in September 2009, shortly before demolition. Sinderby station looking north in October 2009, during demolition. The site of Sinderby station looking north in September 2010. The platform edge can still be seen bottom right. 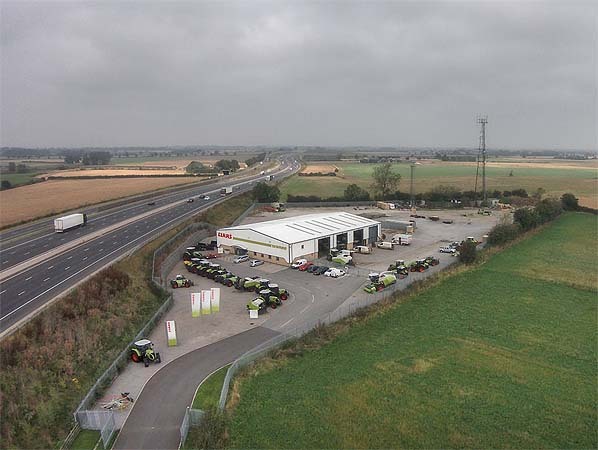 Low level aerial view from a Phantom Quadcopter showing the site of Sinderby station looking north in October 2014. A short section of the platform edge can still be made out to the right of the tractor.